CZ75 - Call of Duty: Black Ops Guide! 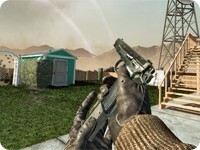 In multiplayer, it is the "classified" handgun, meaning it is unlocked by buying all other pistols (minimum level is rank 18, when the Python is available). It costs 1500. It has a standard magazine capacity of 12 rounds, which is increased to 18 with the Extended Mags attachment. The weapon has gained a large amount of popularity as a sidearm online due to its relatively large magazine, and the ability to fire fully automatic. Note that the CZ75 has idle sway without the Full-Auto attachment. With the perk Second Chance and the Full-Auto attachment for the CZ75, the player will instead use the default last stand pistol, the M1911. 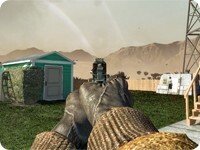 Players with fast trigger fingers should avoid the Full-Auto attachment, as it adds recoil, reduces damage and lowers the fire cap. 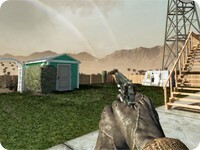 Instead, it is recommended that such a player use the Extended Mags attachment, which may allow multiple semi-auto kills before the need to reload. However, the Full-Auto attachment can prove invaluable to snipers, as it can give snipers a weapon that is useful for close-quarters battles.